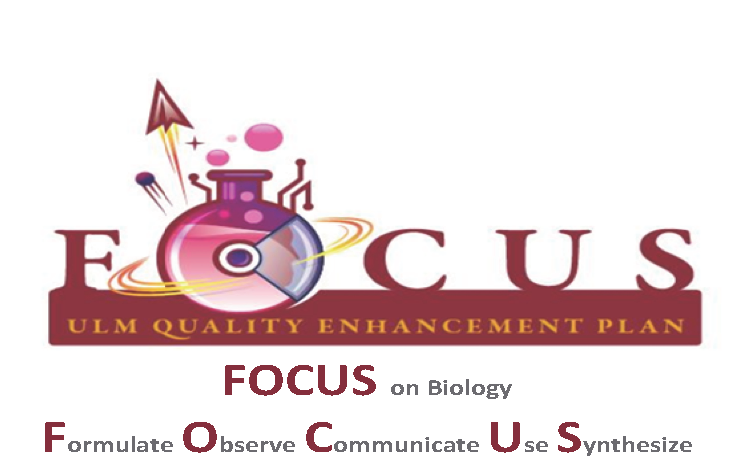 The primary goal of our QEP is to improve performance and success of STEM and pre-health sciences freshmen students in two gateway biology courses: BIOL 1014 (Fundamentals of Anatomy and Physiology I) and BIOL 1020 (Principles of Biology I). This will be accomplished by a course redesign of these two classes to include an additional hour that integrates active learning. The extra hour will be called a FOCUS session and will use high impact, active learning strategies to engage students in hands-on, team-based approaches to historically difficult topics.